We use thousands of words on daily basis to communicate, we use words to translate, we use them to impart our knowledge, we use words to channelize our thoughts from one person to the next hence language and communication has removed the barriers between nations, and we can get connected even by a piece of written paper. Words have a bigger impact in our lives, they make or break hearts, they give someone a heartbreaking feel, and other times words can really be inspiring & thought-provoking. When language did not exist, there were gestures to interconnect but how simple our lives have become ever since we can used words differently, in accordance with the moments. Either written or oral, words have vital role to play. For the designers it is recommended to use fonts carefully on official, formal and informal documents. Therefore they pick up on the fonts that go with the perspective and niche of the document. 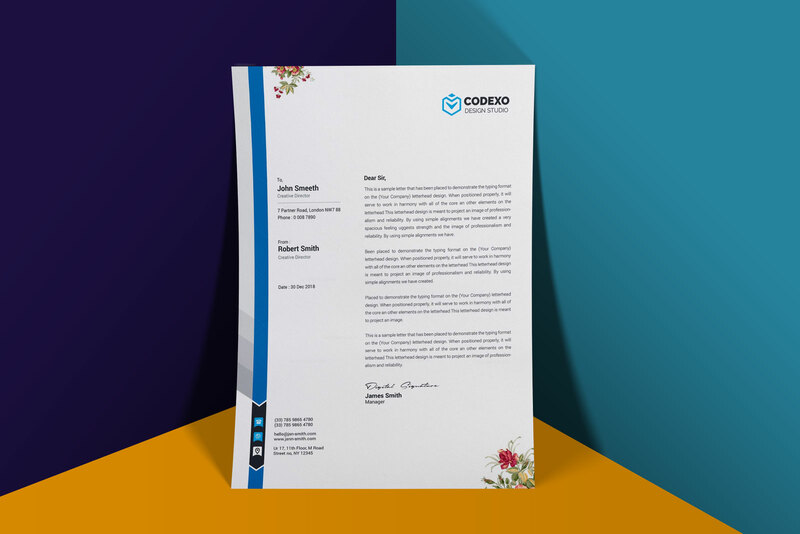 Whether a designer is making a cover letter, letterhead, brochure design, advertisement billboard or more; he uses a variety of ideas to make a best and professional looking document/design. Down here I am putting forward a post of free A4 Flyer / letterhead mockup PSD, this highlights how a logo design, company’s or a person’s name, date and place can be written down in a letterhead. You can also use a backdrop/shadow and texture if it looks fine and appropriate to you (or to your client) on the respective letterhead. There is usually a salutation, body structure, closing and at the end a signature is put up on a letterhead. It is an important document used by all and sundry. You will see how differently they can be made according to the type and demand of the work. Why spending dollars on this when you can create it yourself? Just follow the pattern and you are done. Well this is not just all, you can get millions of these and more in the coming future as well. Stay tuned to us and we shall be updating new stuff for you all. Here we go.